The traditional colorful Rose spray, fragrant and ethereal blossoms set among a ring of soothing greens form a classic spray. 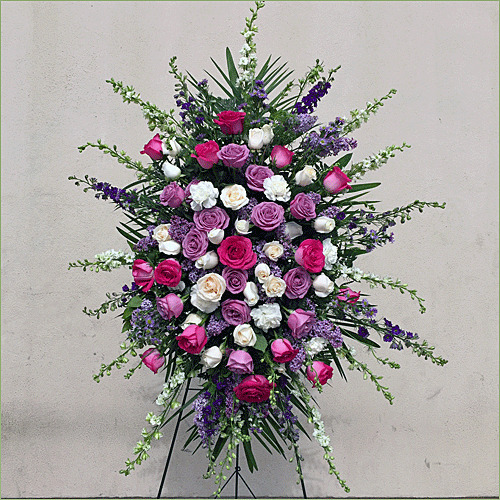 Standard spray includes 40 stems. Deluxe spray includes 50 stems. Premium spray includes 60 stems.